The weather co-operated for the entire day with steady winds from the south-west making this years Kite Festival a roaring success. 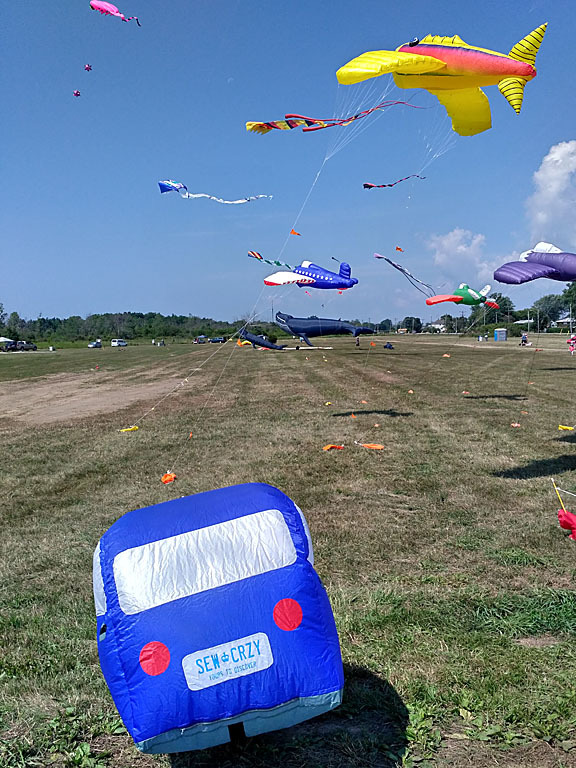 Many kites in the air as well as numerous ground displays made for a colourful event. We had a chance to say hello to old friends and meet many new kite fans. A great event in it’s new location at West Side road and Killaly Street West.